Note: Please use a low voltage soldering iron and connect it to a reliable grounding. This device is sensitive to ESD and it may be damaged during soldering. 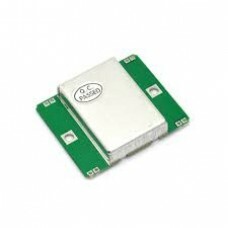 The IF output of the HB100 module is especially sensitive. You can check it for damage using a multimeter in diode mode. The forward voltage drop between IF and GND should be about 0.25 V.